The Motorola AP 7161 has been discontinued. No direct replacement is available. Ruggedized outdoor performance and the ability to defend your perimeters from intrusion. 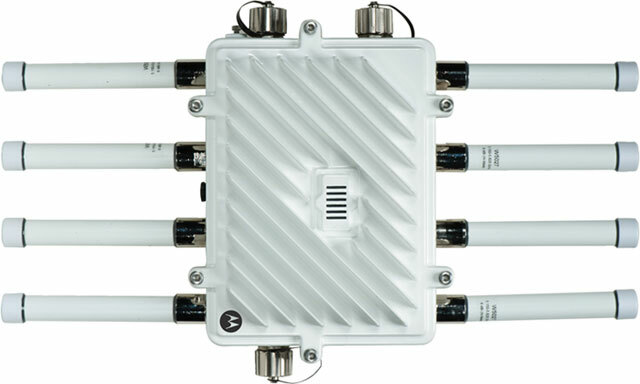 Perfect for extending network coverage to outside areas, the AP 7161 brings the latest 802.11n 3x3 MIMO tri-radio design together with the rugged outdoor performance. True perimeter security is provided using either a dedicated dual-band sensor or software mode for both 2.4GHz and 5GHz bands to deliver 24x7 rogue detection and termination. The AP 7161 is optimized with WiNG 5 intelligence at the edge extending QoS, security, and mobility services to the access point so you get better capacity and performance. The AP 7161 is ideal for industrial, enterprise campus, video surveillance, public safety, and smartgrid utility deployments to extend to the outdoors.